Where to Stay, What to Do and Where to Dine in Keystone Resort. 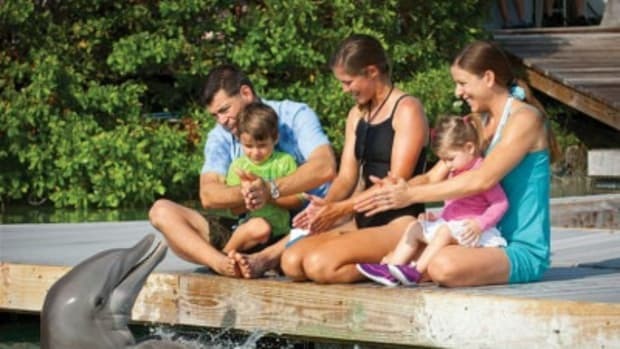 If you’re looking for the perfect family getaway, with something for everyone to enjoy, there is so much for both kids and adults alike at Keystone Resort. Given its location, just 75 miles from Denver, it’s a very manageable few days away from home (or a week for those who have the time!). 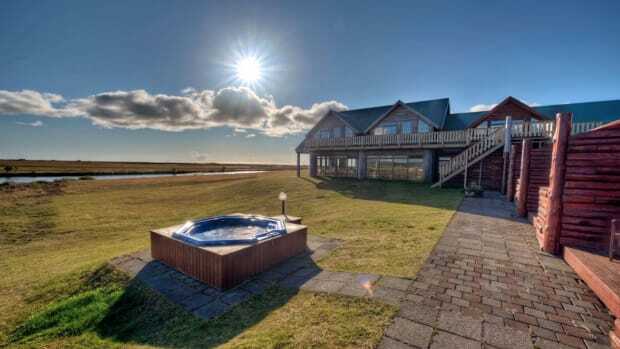 It’s also a famous, world-renowned ski resort, offering more than 3K acres of ski terrain, a variety of classes for all levels, and restaurants and hotels for all travel budgets. It’s not just our opinion that Keystone is a top family travel destination – it was ranked in a 2017 list in USA Today and Parents Magazine recently included in a list of top family ski resorts. 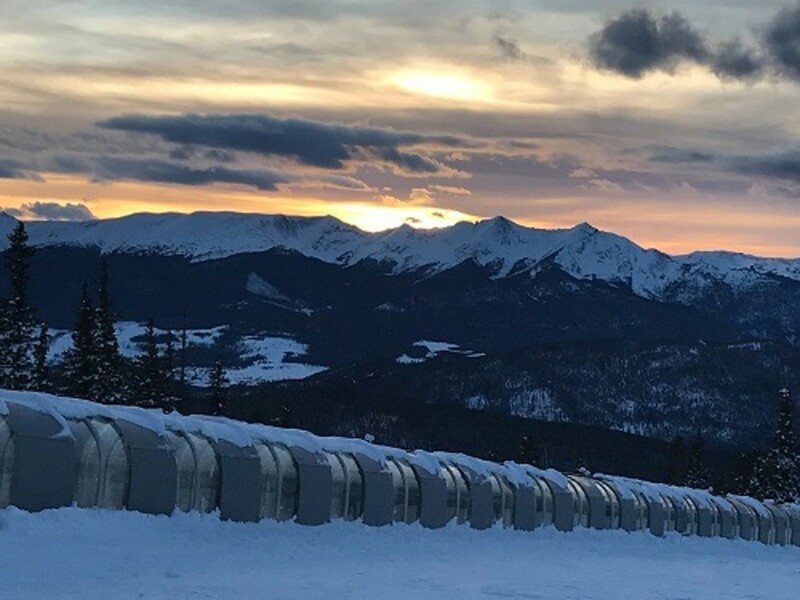 In addition, Keystone is owned by Vail Resorts and is one of the best and most famous ski destinations in the world, so that alone should tell you everything you need to know about the resort’s high level of quality. For non-skiers, there is a wide variety of activities to boot during any time of year, from tubing and snowshoeing in the wintertime to hiking and other activities come summertime. Plus, and most importantly for traveling families with young children in tow, there is Kidtopia, and if you haven’t heard about this phenomenal program for kids, listen up! Kidtopia offers activities for kids, many of which are free. 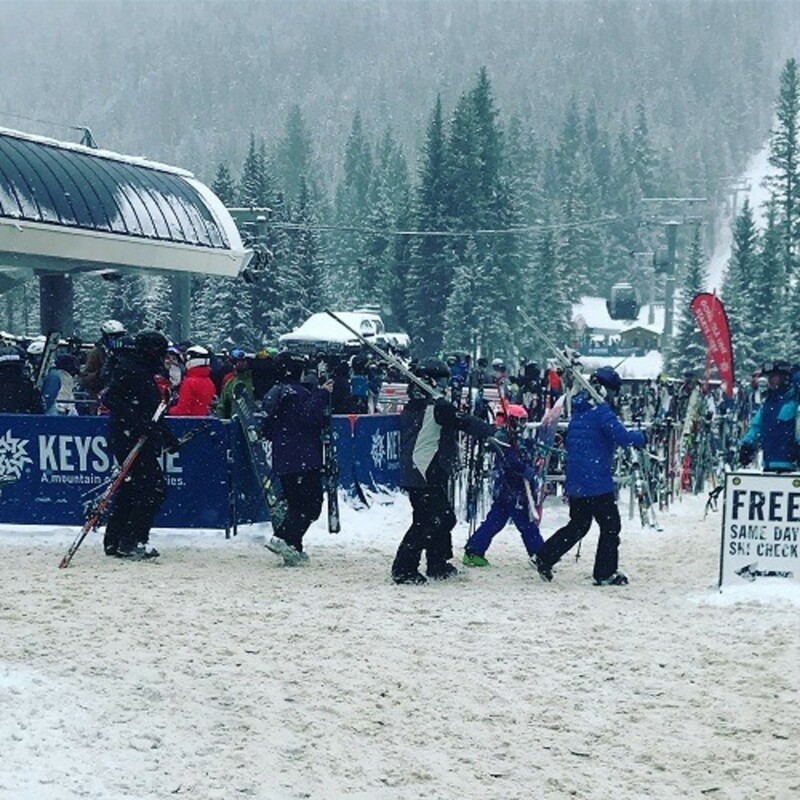 From arts and crafts to culinary events, and from fireworks to a parade that runs through the village, the program makes a trip to Keystone Resort not just a special one for everyone, but a slightly easier one for parents. Where to Stay and Dine. Hyatt Place Keystone (formerly the Inn at Keystone) is the ultimate hotel for families to stay while visiting Keystone, and it’s brand new. The hotel, which opened in early 2018, is located between Lakeside Village and River Run Village, making it a convenient place to stay (near the ski resort and all the shops and activities). The views from the rooms are telling enough as the hotel overlooks the ski resort, and you can wake up and watch skiing live outside your window. While it is not a ski in/ski out property, there’s a free bus that can take the entire family directly to the slopes. The hotel really caters to traveling families. 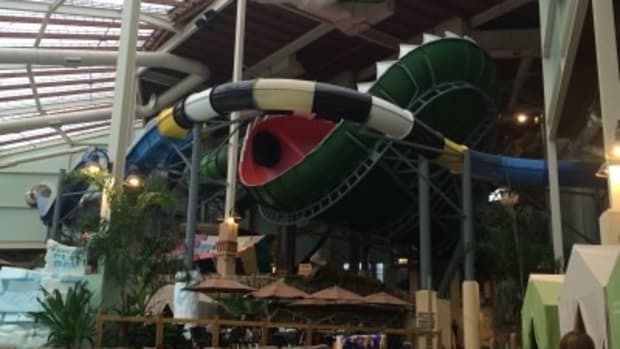 It’s not too swanky, but it offers a bit of luxurious casualness in the heart of Keystone, with its modern design and amenities that traveling families need such as free Wifi, a daily hot breakfast, and three hot tubs situated on various floors. Each guest room has a living space with a sofa and table to place food on, coffee makers, and top-of-the-line linens. There is plenty of room in the cupboard for ski equipment in the wintertime. In addition, the front desk has plenty of ideas about things to do, such as tennis, ice-skating, skiing or snowboarding in the wintertime, and in the summertime they might suggest mountain biking, golf and local festivals. In you’re traveling in the wintertime, three days in Keystone is enough to get a good taste of the area. Upon arrival, start with a gondola ride to the top of Dercum Mountain or North Peak to get yourself orientated with the resort. The Kidtopia Snow Fort is is located at the the top, where kids can burn some steam going through mazes and slides. Grab a hot drink at the Summit House or The Outpost and a leisurely dinner down below at Zuma or 9280 Tap House. 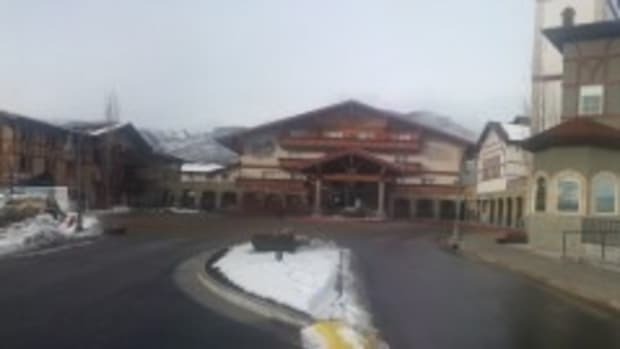 If time permits, Keystone offers two ice-skating rinks – a 5-acre lake in Lakeside Village, coined as the largest ice-skating rink in North America, and a small rink in River Run Village near Kidtopia Headquarters and utilize the hotel’s hot tub. The next day, wake up bright and early, and grab a hot breakfast at the Hyatt before taking a Family Private Lesson on the slopes. Family Private Lessons are for up to six persons of similar ability and is an excellent bonding experience and way to get to know the mountain and include lunch. Afterwards, take a rest back in the room and check the day’s Kidtopia schedule for an event that may include bouncing castles, a parade or hands-on-learning activities, and ultimately fireworks. For an exquisite culinary experience, head to Keystone Ranch, a restaurant that pays tribute to the farmers and ranchers who founded the area. The carnivores in your family will devour a piece of steak, and adults will relish their fine wine list. 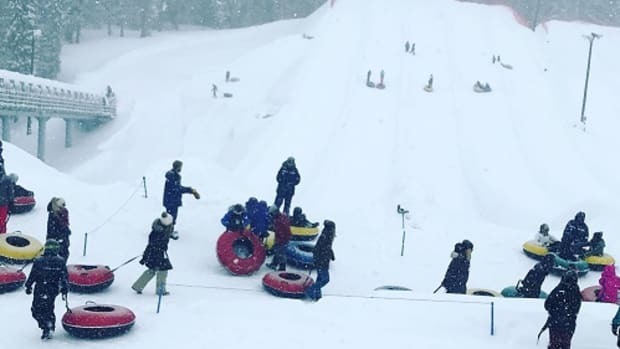 On your last day, make a reservation to do some Mountain Top Snow Tubing for about an hour. Kids will love zipping down the mountain. Just be sure to have everyone in the family fully decked out in full ski gear. Grab lunch on the mountaintop at an eatery accessed by a gondola ride, the Alpenglow Stube, which sits at 11,444 feet and is a AAA four-star restaurant. Afterwards, top off the night with a Kidtopia event, such as a special culinary demo and dinner or family game night. Best time to go: Weekdays are definitely less crowded than weekends so try to coordinate your trip so you have a few mixed into your schedule. Deals for kids: Kids 12 and younger ski and ride free every day, all season long, with just two or more nights of lodging booked through the resort. 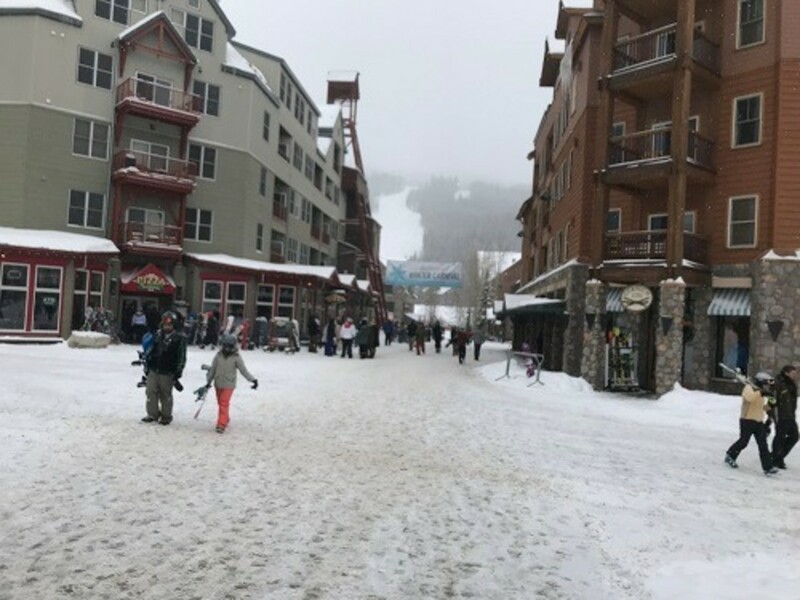 Keystone also has convenient extras such as free designated family parking and complimentary red wagons for parents to tote gear and tired ones to and from the slopes. 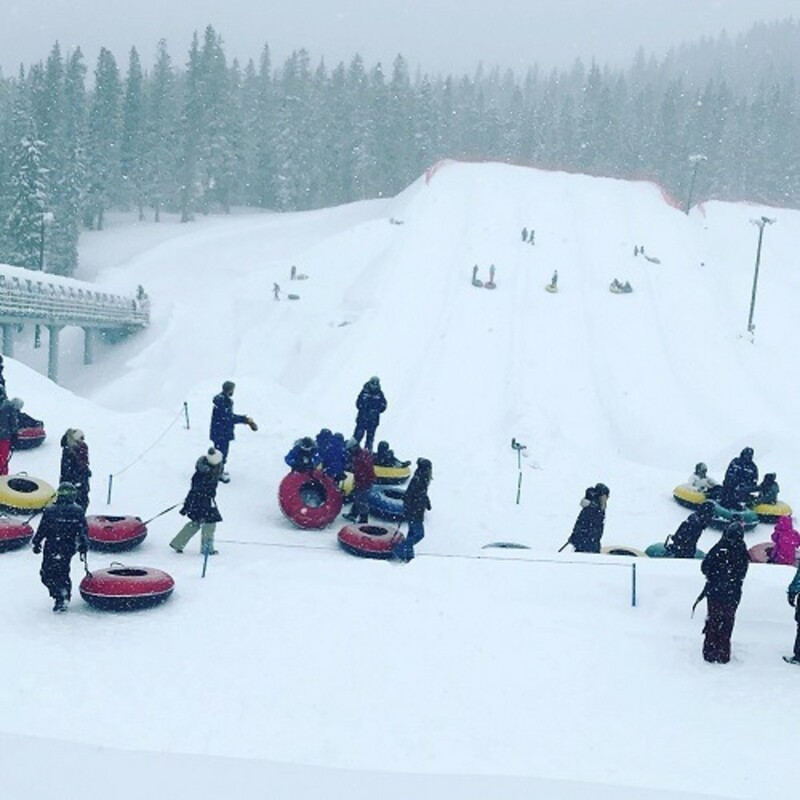 Kidtopia provides free offerings: Don’t miss Keystone’s signature Kidtopia program featuring a variety of free, daily family offerings such as arts and crafts, scavenger hunts, a parade and fireworks, and the world’s largest snow fort. Book the Epic app: There is an alpine phone app that tracks your vertical skiing, gives you live ski conditions, lift line wait times, shows how your kids are progressing in ski school, where they are on the mountain, and how your race time is compared to Lindsey Vonn. Epic day lift tickets: Save money booking online in advance. It’s not just our opinion that Keystone is a top family travel destination - it was ranked in a 2017 list in USA Today and Parents Magazine recently included in a list of top family ski resorts. 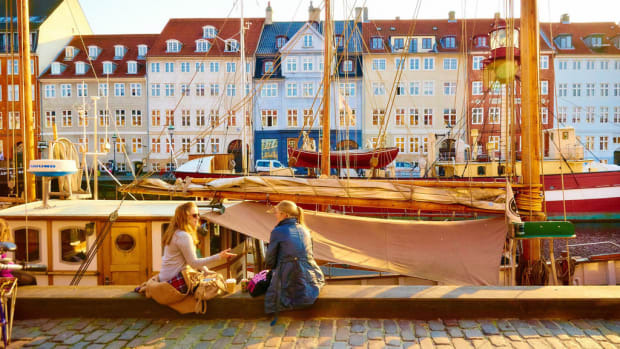 This small, walkable city boasts castles, boat rides, the Tivoli Amusement Park, and an iconic tribute to the Little Mermaid. What’s not to love in this family-friendly city? !